ROTOCONTROL, a wholly owned subsidiary of EMT International, is set to unveil new corporate branding and showcase an impressive line-up of high-speed label finishing machines at this year’s Labelexpo Europe 2017, in Hall 7 on Stand 7D42. With a top-flight product program and a fresh new brand concept, ROTOCONTROL is urging printers and converters to finish first and in control, at a very crucial part of the printing process. 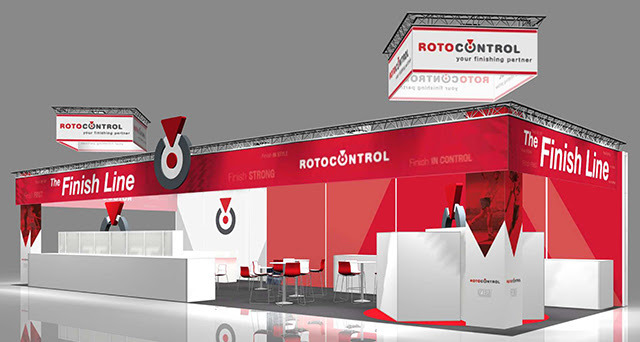 This new corporate branding will make its industry debut on the ROTOCONTROL stand at Labelexpo Europe. ROTOCONTROL is also bringing a stellar presence on show with four finishing machines, providing live demonstrations of production, finishing, and converting of booklet labels, digitally printed labels, and more. “We’re very excited about this year’s show, and we look forward to sharing our latest product innovations and new corporate look. Meet us at The Finish Line – stand no. 7D42!” said Marco Aengenvoort, ROTOCONTROL Managing Director. Showcased on ROTOCONTROL’s stand will be the BL 440, built with register laminating, labeller function and a curved booklet option for high-speed production of booklet labels; the DT 340, integrated with a new semi-automatic dual turret, a specially designed backside die cutting unit and a delam/relam function for finishing and converting of digital labels; the RSC 440, with a WorkflowLink and the new fully automatic slitting system RotoCut featuring less set-up and changeover times; and a RSC 540 wider width high speed (600m/min) slitter/rewinder. In May 2017 ROTOCONTROL was acquired by EMT International, recognized as a world leader in engineering and manufacturing superior quality finishing equipment & accessories and web transport solutions for narrow and wider-web digital and conventional print, headquartered near Green Bay, WI. Combining forces has brought many advantages for both companies in synergizing sales, service, engineering and global reach with production facilities, sales, and service now offered in Germany and the USA. A visit to the ROTOCONTROL stand provides an opportunity to meet with key representatives from EMT International, and learn about their engineering and manufacturing expertise serving OEM and converting customers worldwide in the paper, document processing, packaging, and printing industries.